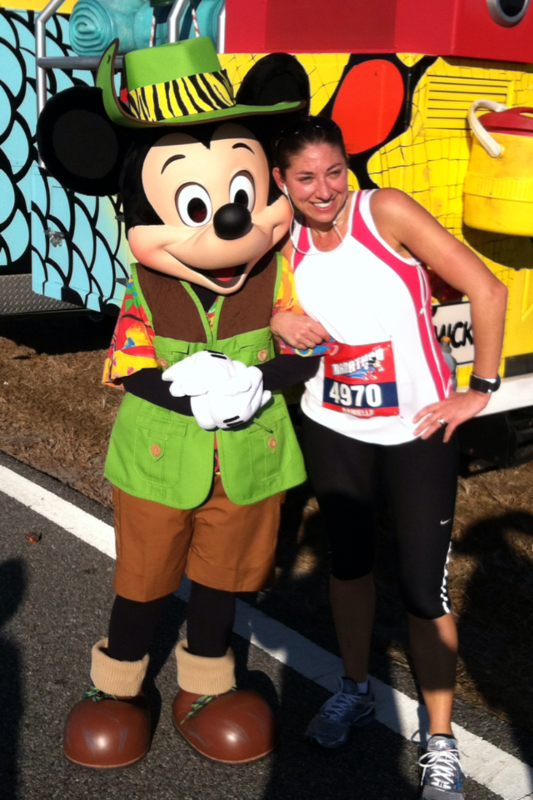 Why I LOVE runDisney races! One of the best things about running a Disney race is the on-course entertainment! Along my 26.2 miles last weekend not only did I run through 4 theme parks, but I passed Disney characters, high school bands, “street” performers and even a full gospel choir singing at mile 26! 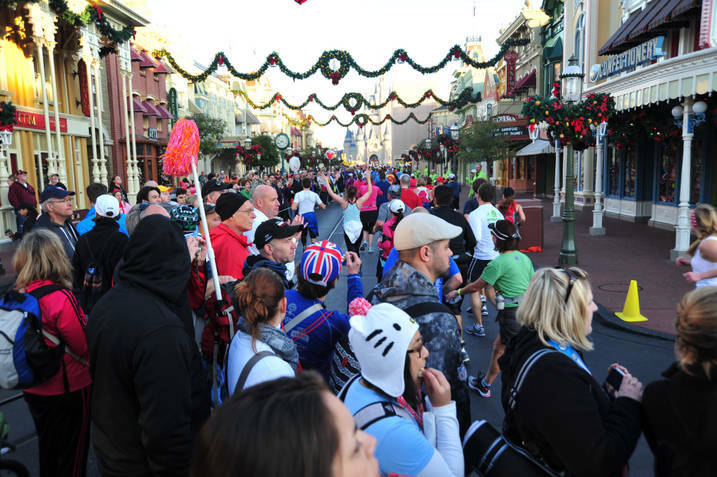 If you’re going to put yourself through 26.2 miles you may as well do it at a race where you’re going to be entertained along the way and no one does entertainment better than Disney! 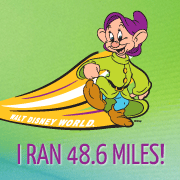 Both runDisney events I’ve participated in so far were extremely well organized, especially for their size! I found everything from the event transportation, packet and t-shirt pickup, bag check and the post-race experience (medals, finishers photos, bag pick up, etc.) to be easy and stress free. I LOVED having spectators cheering us on during the full marathon last weekend, it made for such a different race experience than Wine & Dine where there are not spectators on the course (due to it being a night race). And, from what I’ve heard from my family the spectators experience seemed to be just as smooth as the runner experience. 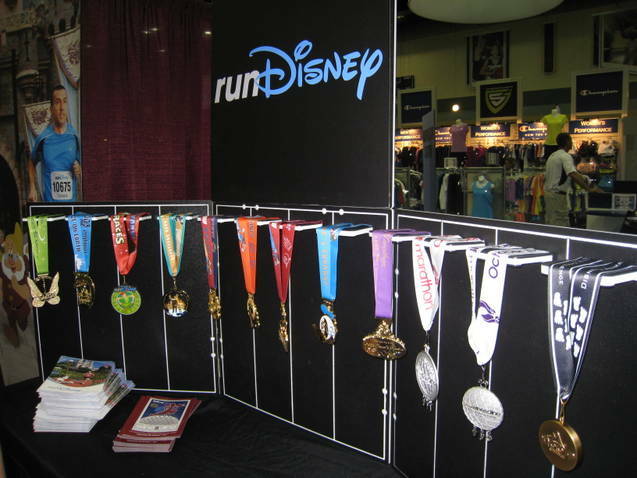 The runDisneywebsite is a wonderful resource for spectators. It has an interactive tool where you can put in your runners expected pace and it gives you a list of viewing locations you will be able to catch your runner at. It even gives you the transportation information you need to get from place to place! My family’s biggest concerns was getting up close enough to see me go by, but they said that at every location they stopped at spectators were always telling each other to yell out when their runner was coming and they would let them right through to the front! Somehow I don’t see that happening at many non-Disney races! Not only does Disney have some awesome finisher’s medals, but where else can you walk around wearing your medal for days after the race without people giving you a funny look?!? Walking around the parks marathon weekend there were thousands of people proudly wearing their medals! The atmosphere was amazing, everywhere I went cast members, park visitors and even other runners yelled out congratulations to anyone wearing a medal! Each of my runDisney race experiences has been amazing and I can not wait for my next one!